The bacteria affect plants in many different ways. Manifestation of these infections can be observed in the form of different kinds of diseases. The cankers are occurrences of dead tissues on plants and which result from bacteria, fungi and other microbes. The technical or scientific term alternately used with canker is anthracnose. Different bacteria are responsible for canker development in different plants. The cankers observed in citrus plants are caused by the bacterium, Xanthomonas axonopodis. The bacterium called Xanthomonas populi is responsible for canker development in poplar, a deciduous plant. The cankers in most cases cannot be treated and the affected plant has to be destroyed. However, bactericides can be used if the problem is not a major one. Vascular tissue of plants are attacked by the bacteria in wilting disease. The plants from cucurbitaceae family are affected by the bacterial wilt. Erwinia tracheiphila is the causal organism of this disease. This bacterium grows in the xylum tissue of plants and affects the water transport system. The mechanical blockage of the system which transports water in plants, lead to wilting. The wilting of leaves is one of the early symptoms of this disease. Later on, the disease spreads to other parts of the plant; finally, the whole plant wilts and dies. It is not possible to treat the plants affected by bacterial wilt. Using the varieties of cucurbits plants less susceptible to bacterial wilt is the only way in mitigating the problem. This disease is marked by the chlorosis of different plant tissues. Flowers, leaves, and twigs of the affected plants produce less amount of chlorophyll and thereafter browning takes place. The blight disease can also cause death of plants. Fire blight is one such disease found in pear and apple plants; Erwinia amylovora is the bacteria that causes fire blight. In this disease, the affected areas of plants become sunken and appear to be scorched; the surface of these plants blackens; cracks are also observed on the surface. To prevent the fire blight disease from spreading further, chemicals like terramycin can be used. The causal organism of this disease is the bacterium called Pseudomonas synringae. 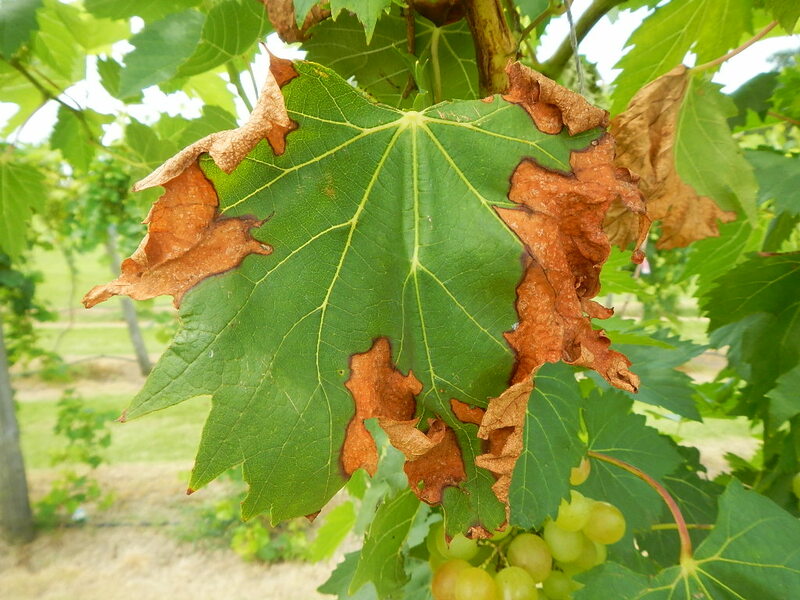 Signs observed in this disease include the following: gray spots, cracking of leaves, brownish yellow leaf borders, etc. Hot and humid climate is favorable for the development of this disease. A white colored substance oozes out of the affected plants and spreads on the surface of fruits. Reduction in crop yield is observed in the brown sport. This disease mainly affects vegetable and ornamental plants. Use of resistant plant varieties should help in overcoming the problem of brown spot disease. This disease is soil-borne and affects a variety of plants including roses, apples, cherries, raspberries, etc. The disease is named so because of the galls (abnormal outgrowths) formed at crowns (i.e. the place where stem and roots intersect) of these plants. Agrobacterium tumefaciens is the causal organism of this disease. The gall disease is treated or controlled with the use of both chemical and biological methods. A chemical called Gallex can be painted on galls for the purpose of treatment. The biological method of control is that of inoculating the cuttings and new transplants with bacteria which compete for growth with the pathogenic ones. This method automatically reduces the number of disease causing bacteria. There are many different ways or modes of dissemination of disease causing bacteria. The use of planting material obtained from infected crops/plants helps in spreading diseases from one place to other. Tools and implements used for various agricultural works carry the disease causing bacteria from one field to another. Rain also plays an important role in the dissemination of pathogenic bacteria. The Gardenerdy article about plant diseases caused by fungi should also prove to be useful for the readers. The various bacterial diseases are treated using an integrated management approach. It is difficult to completely cure or reverse back the spread of bacterial diseases mentioned above. Right thing to do is therefore, preventing the disease from spreading further; one can think of preventing bacterial diseases by the use of resistant plant varieties. Following the quarantine specifications or guidelines also is one of the ways to prevent the spread of bacterial diseases. Use of chemical pesticides is amongst the commonly used measures for treatment of bacterial diseases. Antibiotics like streptomycin and oxytetracycline are useful in controlling the growth of pathogenic bacteria. Bordeaux mixture is an age-old chemical pesticide used in the treatment of bacterial diseases of plants. There are number of bacterial diseases caused by plants. These diseases are quite harmless in their initial stages, however, they do have the potential to cause death of the affected plant; it is therefore, necessary to take timely action for controlling the disease. The different diseases caused by bacteria in plants can be controlled with proper management.